The village will be overflowing with hospitable merchants! Each store will have a special event going on from 6-8pm, from music to food tastings. Come out and enjoy the fun! 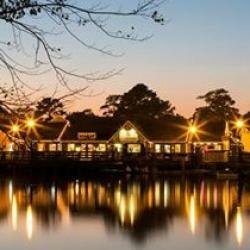 Historic Smithville offers 60 shoppes, 7 eateries, carousel ride, train ride, paddleboats, on site lodging at the Colonial Inn and over 26 free weekend events!